The award-winning 2019 Land Rover Discovery Sport luxury SUV is a multitude of things – dependable, luxurious, efficient, affordable, spacious, and especially safe. The advanced technologies available for safety in the newest model year of the Discovery Sport are extremely impressive for keeping you and your family safe, without sacrificing any other features you have come to expect in your Land Rover SUV. Whether you’re driving around town or taking a longer excursion with the family, these standard or available active and passive safety features make sure you get where you’re going. Lane Keep Assist and Driver Condition Monitoring – This feature available on the Discovery Sport can detect if you are drifting out of your lane, whether that’s due to drowsiness or a minor distraction. The lane keep assist feature applies torque in your steering wheel to give you a warning to correct your vehicle while the monitoring can remind you to take a break from driving. Blind Spot Monitor – A very helpful tool that alerts you to someone in your blind spot. The closing vehicle sensing system alerts you to this with a small flashing icon in the corner of your side mirrors. Surround Camera System – This system provides a 360-degree view of your surroundings, which is extremely helpful with parking or backing up out of a busy parking lot. You can also pan around to see objects that may be out of your sightline. At Land Rover Colorado Springs we have an available inventory of seven brand new 2019 Land Rover Discovery Sport SUVs, including the one pictured above. Each of these SUVs have their own configuration of safety features for us to introduce you to. Contact us today at 719-302-1000 if you are interested in your own Discovery Sport and want to schedule a test drive or stop by our dealership at your convenience. 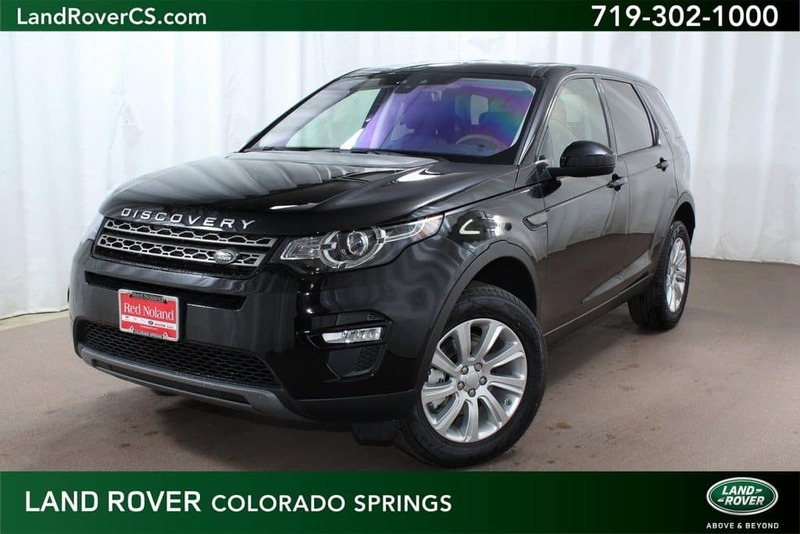 Let Land Rover Colorado Springs help you find the perfect vehicle today!